Let’s be honest – social media has grown into a major aspect of the digital world. It has easily blended into every scope and redefined the way we interact online, the way we shop and simply the way we live in general. It has helped us to view the digital world from a prism of safety and also be informed about practically anything related to our interests. And that is simply how social media should function. But when it comes to brands and their social media outlets, the situation is kind of different. Without these two, no one is likely to follow a brand, unless it’s a brand established by their friends. But hey, how do big brands do it? How are they active in growing their followers and publishing stellar content? Now, in order to have a social media strategy, you must know the most popular social media outlets to focus on, no matter the niche you are in. As much as it mattered few years back, now you can market ANYTHING on social media – even if you are selling fish rods. 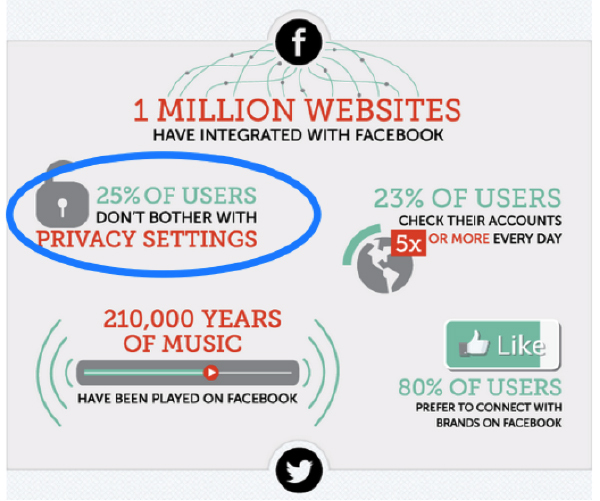 So, what are the most popular social media channels a brand should focus to? In fact, here is a handy image about all of the popular social media outlets and the age groups using them. 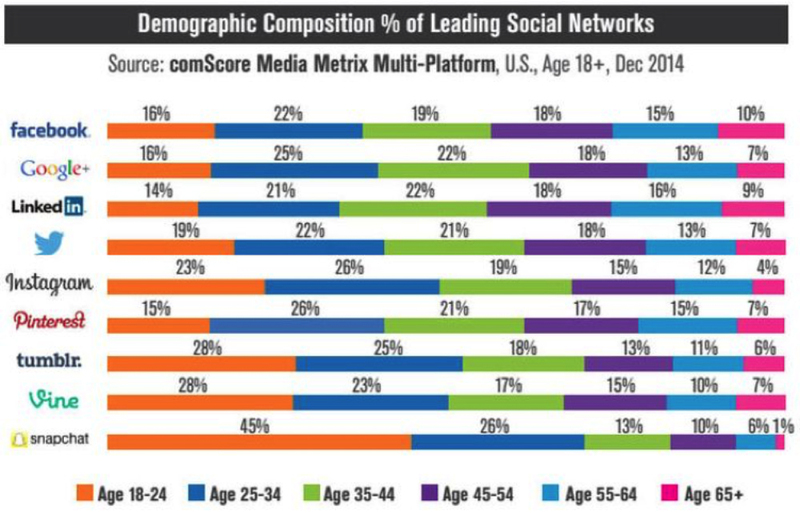 Although in general, every age group uses every social media channel, from this image you can find where your age group belongs and focus on that outlet more and more! Want more stats? Here is an image about Facebook, the leading social media giant. While these are all beneficial, they are all group-focused to get you a better image about your social media presence. But how to do it on Twitter, Facebook and Instagram – some of the major social media channels out there? The most basic step you can undertake, as in every social media outlet is to fill out your profile completely. This comes as a MUST. After you do this, writing an awesome bio with one or two select keywords or hashtags is probably one of the best ways to start gaining followers on Twitter. Additionally, adding your URL and location is important – as URLs are great for adding context, location is great for getting found locally via many tools. Needless to say it, a profile picture and cover photo are essential for any social media outlet. But seeding the first five to ten tweets is even more important – to kick-off with quality content and tweets directly linked to you and your company. And here it comes.. The big question: How to gain more followers on every social network? Follow – follow people if you want real followers, as easy as it is! Build a mobile version of your website or even an app – users are now more mobile than ever, and they really appreciate you caring for them (and their devices)! Of course, all of this may sound easier said than done however once you get to know social media – you will get to know the effectiveness of the tips we shared. Like, follow, share and repost – as the main formula to social media success in the form of more followers!